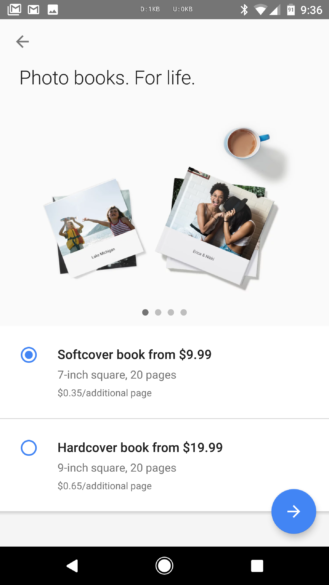 Photo books were announced at Google I/O 2017 just three days ago, and could be ordered that same day - but on the web only. 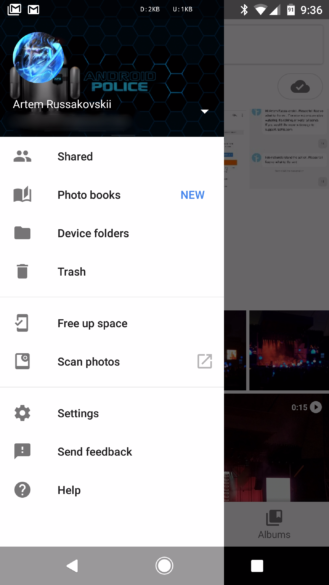 However, the feature was said to be rolling out to the Google Photos Android and iOS apps 'in the coming weeks.' It seems like that estimate was just a tad conservative, as it's already showing up in some people's Photos apps. The 'photo books' option recently appeared in our fearless leader Artem's Photos app. He has the latest version (2.15.0.156463917) installed on a Pixel XL. However, it looks like a switch must be flipped on server-side, as I've got the same version on my S8+ and the option hasn't appeared for me yet. Another staff member with a Pixel doesn't have it either, so this probably isn't some conspiracy to give nice things to Pixel owners first. As a reminder, photo books start at $9.99 for a softcover or $19.99 for a hardcover, each with 20 pages. Extra pages cost $0.35 for softcovers and $0.65 for hardcovers. 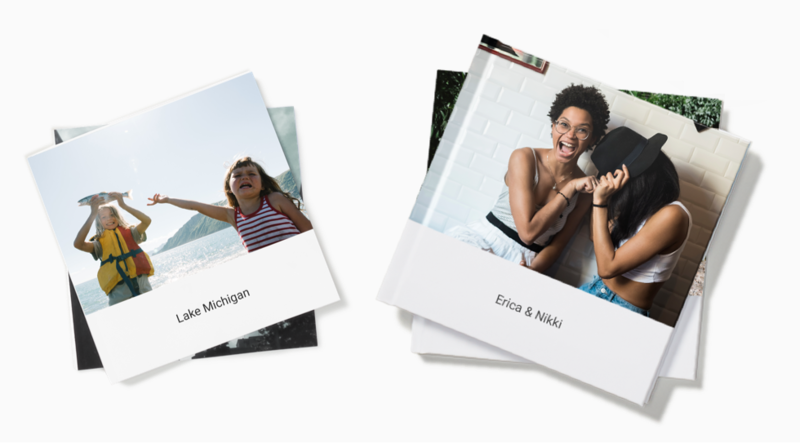 If you can't create and purchase photo books from your phone yet, you can do so online.